The Women’s Basketball Hall of Fame Board of Directors selects individuals to be inducted into the Women’s Basketball Hall of Fame. Selection is based on defined qualifications. In order to be considered for selection in the head coach category, the nominee must meet a minimum of THREE of the following requirements. 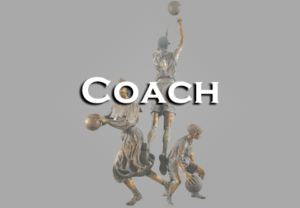 *Coaches may be active or retired. 1. Twenty years as a head coach of women’s or girls’ basketball. 2. 500 or more wins coaching women’s or girls’ basketball. 3. Women’s/girls’ basketball national championship at the collegiate or professional level. State championship at the high school level. 4. Olympic or World Championship (all age groups) women’s head coach. 5. Women’s/girls’ basketball national finals appearances (AIAW, AAU, NAIA, NJCAA, NCAA Div l, ll, lll and international/professional). Women’s/girls’ basketball state finals appearance (high school). Two final appearances will be required for high school; one NCAA Women’s Final Four appearance for collegiate and one WNBA Final for professional. 6. National Coach of the Year recipient (e.g., WBCA, Wooden, Naismith, AP).